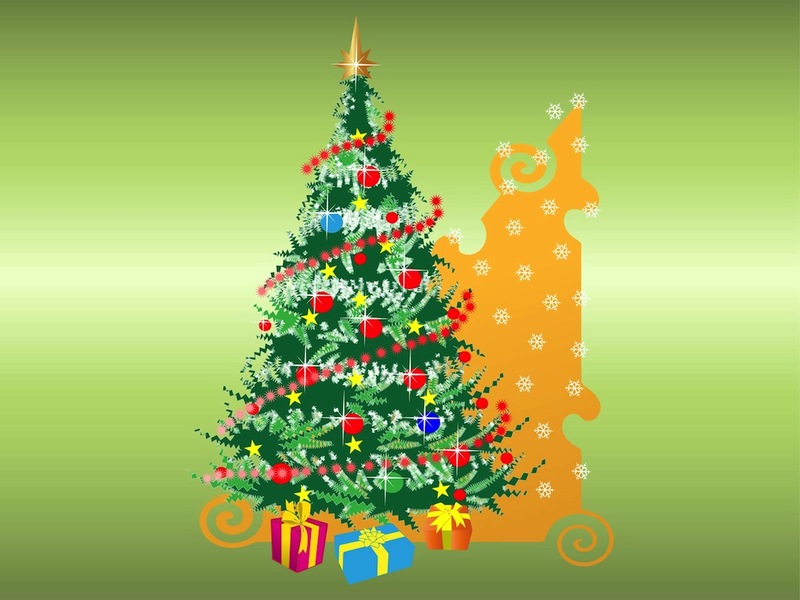 Vector graphics of a decorated evergreen tree and colorful presents underneath it. Traditional Christmas tree with many balls, ornaments, lights, stars and a golden tree topper. Snowflakes and abstract swirling shapes in the background. Free vector decoration for all your greeting cards and posters. Tags: Boxes, Christmas, Decorations, Presents, Snow, Snowflakes, Winter.